Lack of sleep can be immensely frustrating, creating a cycle of wakefulness that is hard to break. Creating the right environment is vital to ensure a peaceful night. Follow my recommendations to create the perfect space for restful sleep. Your bedroom should be a haven of calm and tranquillity. If you can, consider changing the decor or layout to suit your new, improved sleep pattern. Keep colours soft and soothing, ensure that your mattress is in good condition and change bed linen frequently. Choose and hang pictures that make you feel at peace. Keep beds away from radiators if possible, to avoid fluctuations in temperature, and have layers of bedclothes so that you can react easily if you feel too hot or cold. If you find it difficult to switch off, an untidy room could make it more difficult to get to sleep, as piles of papers and clothes simply remind you of all the things that you need to do! If you are affected by a ‘busy brain’, you could also find it helpful to keep a notepad next to the bed. If you think of something that you are worried that you might forget, write it down, breathe deeply and relax. A few drops of lavender, neroli or chamomile essential oil diffused through a room or sprinkled on bed linen will calm and relax your mind. (Use caution if you are pregnant or have any medical conditions or allergies.) Add a live plant to your room to cleanse the air and absorb toxic fumes. We are all constantly connected in the 21st Century. Emails, texts and phone calls can come through 24/7 on tablets and mobiles, and we are all equally guilty of checking our tech every few minutes. When did you last see someone alone in a public place, that wasn’t staring at a screen? Technology is a great thing, but when night falls, messages, a bright screen, and notification sounds instantly wake up your mind. It is also important to remove televisions, stereos and computers from your bedroom. 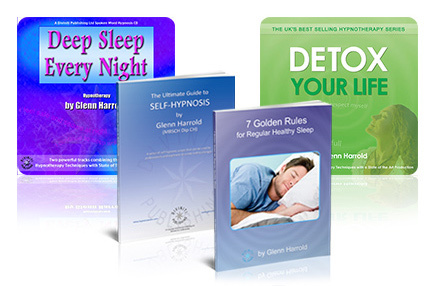 These provide unhelpful stimulation for your brain, and emit electro-magnetic fields which are proven to have a negative effect on sleep patterns. Ensure that your bedroom is completely dark, and as quiet as possible. Use blackout blinds so that street lights and car headlights won’t disturb you, and use. Even a single LED light can be enough to fuel insomnia, so if your alarm clock glows, turn it to face away from you. Unfamiliar sounds during the first and last two hours of sleep have the greatest disruptive effect on the sleep cycle, so hang thick curtains, and use earplugs if you live in a particularly noisy neighbourhood. A gentle, gradual awakening is preferable to shrill, electronic sounds! Consider an alarm clock that mimics the rising and setting of the sun, to wind you down, and wake you up in the most natural way. By creating this safe, peaceful space for sleep, you are taking a great first step to beat insomnia and to build a healthy, happy sleep pattern. Good luck!